Palm Springs has long been known for its world-class resort, championship golf courses and beautiful climate, making it one of the most attractive places to retire. Last fall, the Palm Springs Bureau of Tourism launched a new ad campaign: Las Vegas versus Palm Springs. Designed to draw visitors to one desert oasis over another, this campaign shows us that each city has a definite personality. With their own distinctive attractions, it’s easy to find reasons why both Las Vegas and Palm Springs are popular destinations for active adult retirees. But how different are these two desert hot spots? At first glance, it’s easy to see some big differences in the entertainment available at each of these desert cities. Las Vegas, Nevada, is known around the world for its flashy Strip of all-night casinos, star-studded live performances, bustling night life and famous restaurants. On the other hand, Palm Springs, California, is perceived as a quiet getaway with championship golf courses, relaxing resorts, full-service spas and classic cultural attractions. Yet there is more to each of these popular cities. In either city, active adult retirees will find a beautiful desert climate. Located in the Coachella Valley and sheltered by a ring of mountains, Palm Springs enjoys hot, sunny days and cool, clear nights. Summer daytime temperatures frequently reach 100 degrees, and winter days are mild with highs in the low 70s. Las Vegas enjoys a similar desert climate, with sunny skies and seasonal temperatures only a bit cooler than in Palm Springs. When it comes to daily living, relocating retirees will find that either city offers much more than its popular tourist attractions. In Palm Springs, active adults will love the area’s abundant open space and friendly, small-town feel. Shops range from upscale boutiques to shopping malls and department stores. Hiking and golf are both popular activities, and one of Palm Springs’ most impressive golf courses is found at the beautiful Trilogy at La Quinta active adult community. Many retirees enjoy Las Vegas for its combination of an electric urban downtown with an option for peaceful suburban surroundings. Over in Nevada, retirees will find a wide range of attractions just outside of the glittering Las Vegas Strip. Local museums cover many special interests, while the nearby Lake Mead Recreational Center gives residents the perfect place to enjoy outdoor activities like hiking, kayaking and camping. Active adults who want to expand their minds are also welcome at the University of Nevada, Las Vegas (UNLV) where they can take classes or attend a variety of cultural performances. Home prices in both cities can vary widely, but the current market has lowered home prices in both of these areas. Retirees looking for sprawling resort-style communities will have no trouble finding developments that fit the bill in Palm Springs. With about 5,000 homes, Sun City Palm Desert is the area’s largest active adult community. Yet mid-sized communities like Trilogy at La Quinta and Terra Lago also boast championship golf courses and an array of amenities. In Las Vegas, relocating retirees can also find impressive resort-style developments, as well as more intimate (and more affordable) active adult communities. 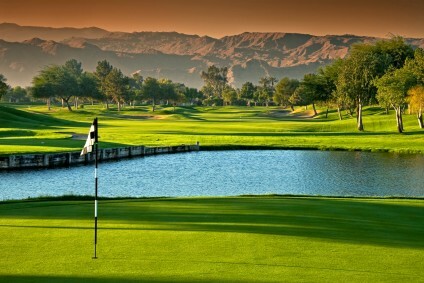 Two of the largest communities—complete with multiple golf courses—are Sun City Summerlin and Sun City Anthem. More affordable homes can also be found in cozy communities like Ardiente and Solera at Stallion Mountain. While the Bureau of Tourism in Palm Springs may be keen on promoting their own city, it’s clear to see that there are many reasons why both Palm Springs and Las Vegas continue to be popular destinations for relocating active adult retirees.